We visited our Barton Creek Trail Corps team this morning and they are well into week 3 of their efforts. 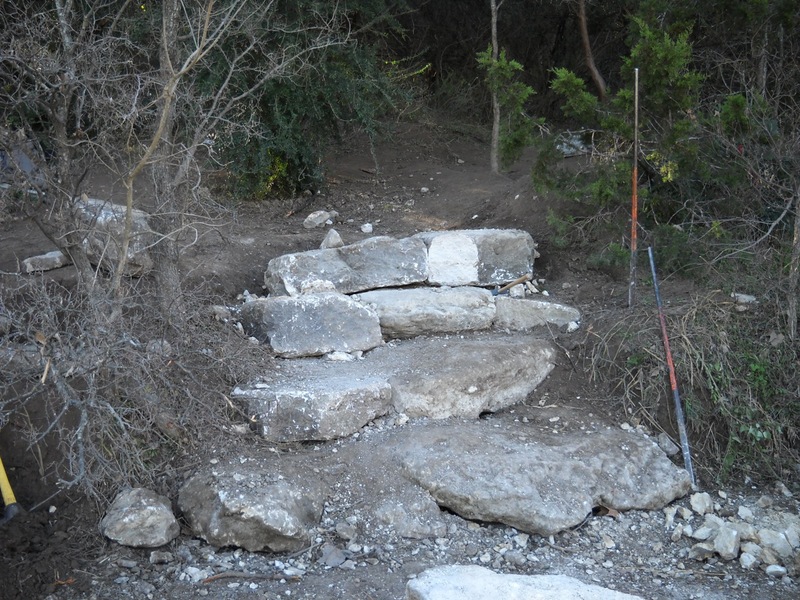 The first week was focused on corridor clearing – removing leaning trees, snags and any invasive species from the Zilker Access Trailhead up to the split at the New Wall, about 1.3 miles south. Last year, they began their work on a new rock stair area (actually it’s two separate sets of steps) at the base of Homedale Access Trail at Campbell’s Hole, by hauling some very big rocks using rigging techniques. 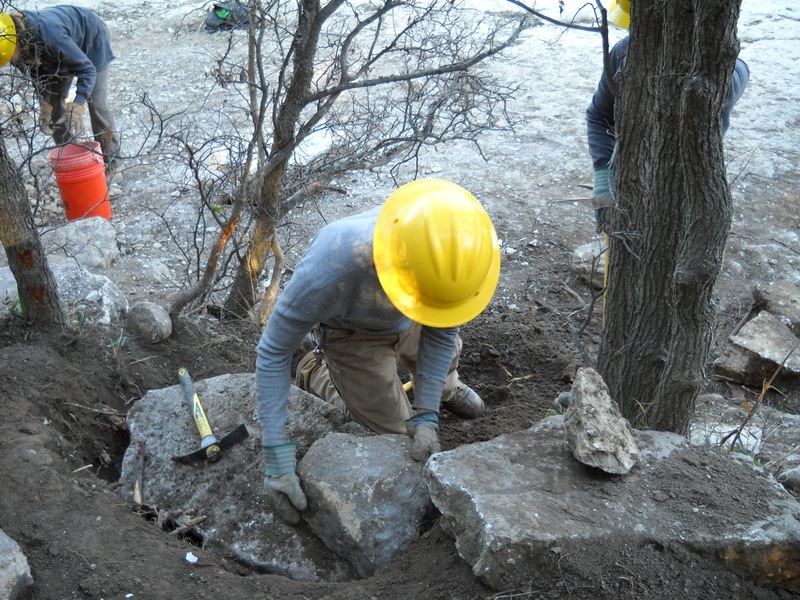 Work is nearing completion on this first rock work effort, so check out the photos. More rock work and corridor clearing will be happening this week and next.